All of our instructors and trainers have just one goal in mind – your safety and success. Here at Body in Balance, we hire only the highest qualified, skilled, and certified instructors and personal trainers who are ready to share their love of fitness with you. Personal training is an individualized workout plan specified for your personal fitness goals and needs. We can help you lose a few of those unwanted pounds, tone up for the summer, strengthen your core for your favorite sport, or even recover from an injury. No matter what your needs, our instructors are here to inspire, lead, and motivate you. Amanda began teaching fitness in 2001. From co-leading rock climbing, kayaking, and caving expeditions, to teaching collegiate level competitive fencing, and participating in just about anything and everything – martial arts, dance, yoga, pilates, ice climbing, skydiving, canyoning, and a million other health adventures – Amanda LOVES showing her students that FITNESS CAN BE FUN! Alex “Kid Karma” Hutaff-Bautista – Local Maui Boy, has been sharing the Hip-Hop culture on the island for 5 years in aims to allow the youth to grow in a positive direction. Dancing for over 13 years, he found success in competing on a national level around America while living in San Francisco training with west coast icons. After living in the Bay Area for a year, Kid Karma is excited to share his furthered knowledge and techniques to dancers on Maui. Eager to teach as much as possible while back home, he’s excited to finally reach out to the west side of the island and welcomes anyone of all cultures and skill levels to come bring your freshest dance shoes and have fun on the floor. 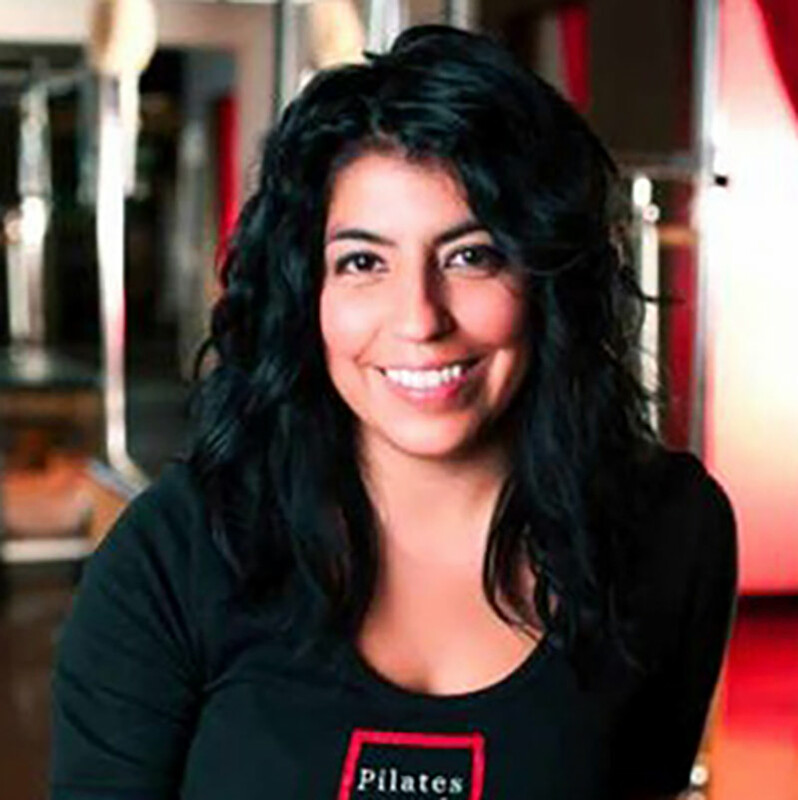 Amie Baca, LMT is the studio owner of Pilates on 10th, serving the Capitol Hill neighborhood of Seattle, WA since 2003. She is also a Peak Pilates® Level II Master Instructor, licensed massage therapist and professional dancer. 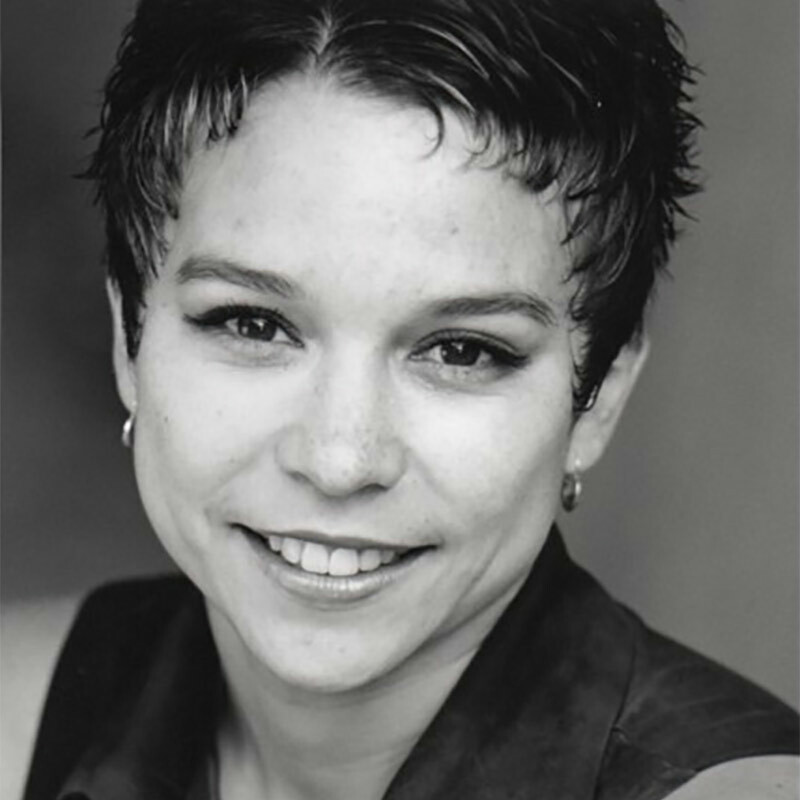 She earned her BFA in Dance from Cornish College of the Arts and her massage therapy degree from Brian Utting School of Massage both located in Seattle, WA. Amie has performed throughout the Seattle area since 1997. 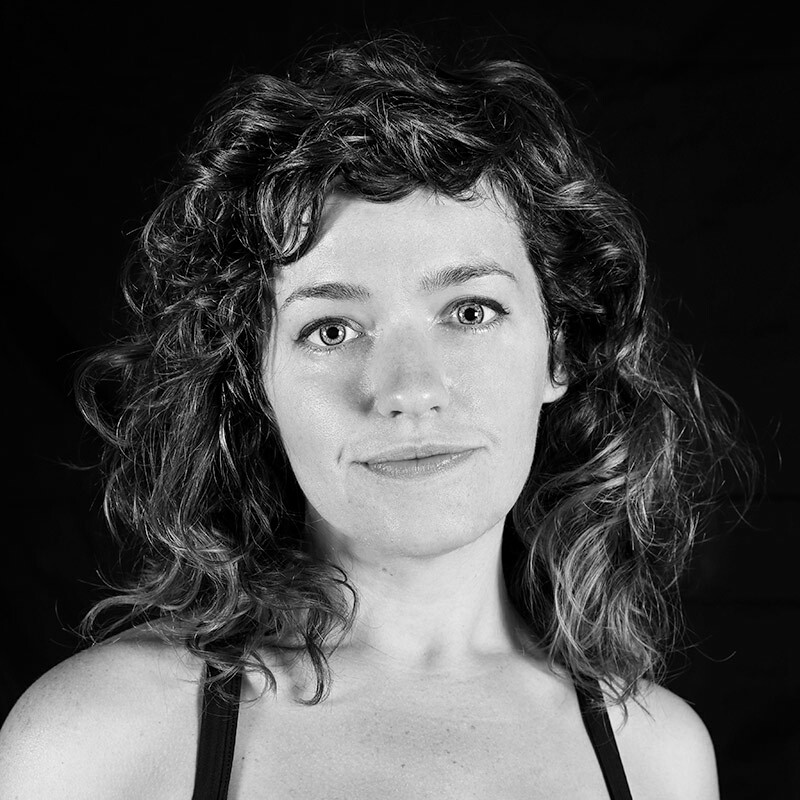 Through her ambition to be a smarter and stronger dancer, Amie began studying Pilates after graduating from college. Shortly thereafter she decided to make it her career and received her original certification through Balance Within Pilates Studio in Redmond, WA. 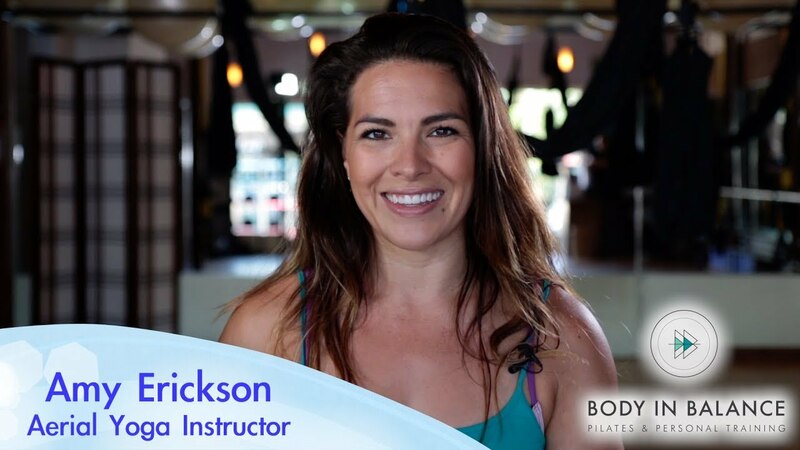 In 2013 she joined the Peak Pilates® team and became a Master Instructor, teaching teacher training programs in Seattle and on Maui. 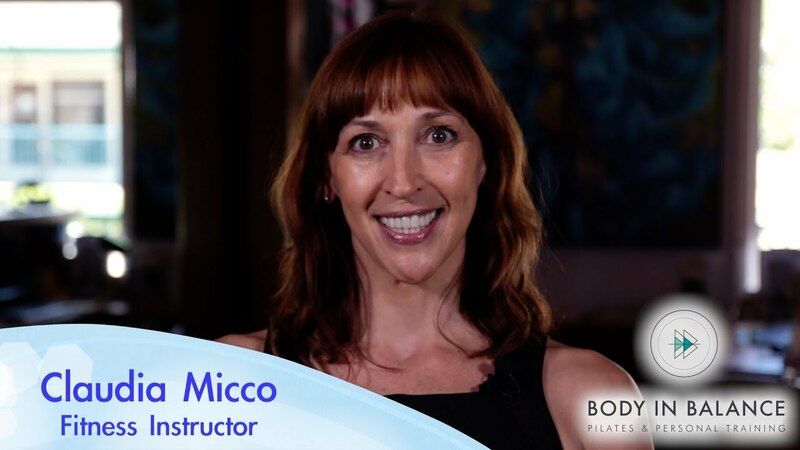 She believes in the Pilates method in its classical form and is committed to the system it provides. Her goal for all of of her students is to gain awareness and control in the powerhouse and therefore become stronger, taller, less prone to injuries and have a greater sense of self and to carry these qualities into daily life. 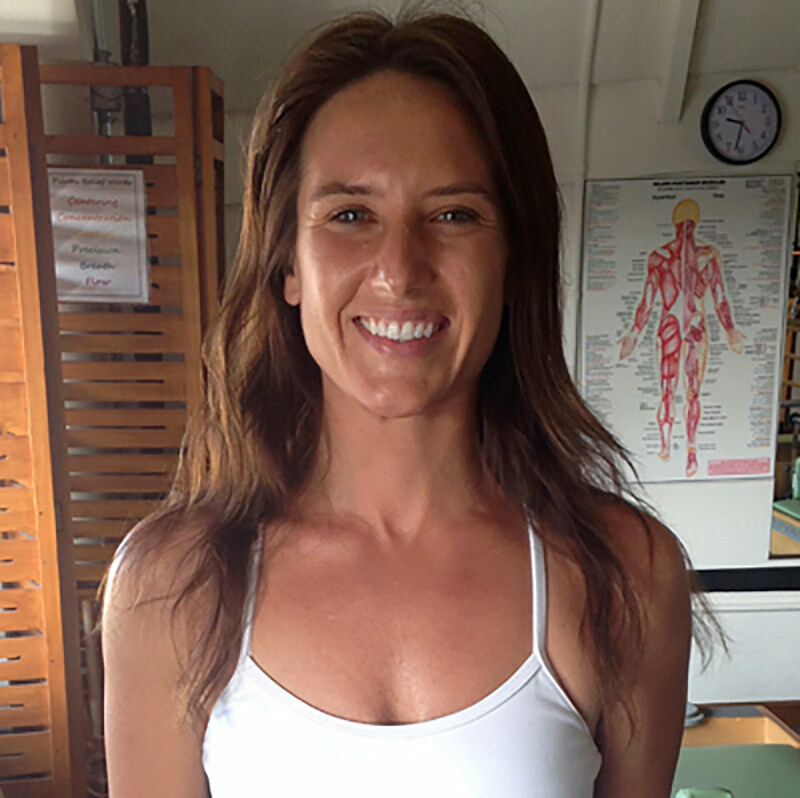 Amie is thrilled to be teaching at Body in Balance on Maui. She is available for private Pilates appointments as well as deep tissue massage. When not working at Body in Balance she can be found soaking up the glorious Maui sun at the local beach. 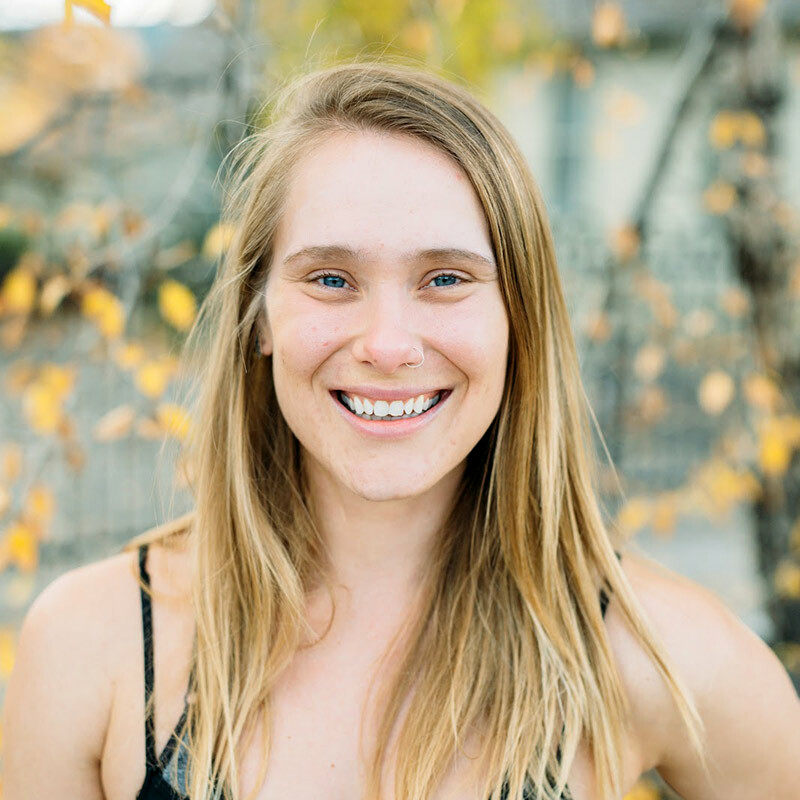 Amie is a Nutritional Therapy Practitioner who is passionate about helping her clients discover the root causes of their health problems and regain vitality through optimized diet and lifestyle changes. She views nutrition from a holistic perspective, and addresses different organ systems of the body as well as the mental and emotional aspect of food in order to create lasting and sustainable change. She offers 1 on 1 consultations both in person and online. As a young gymnast, Amy learned to love being upside down. She continued to develop this love over the next ten years as a dedicated yogini. Her journey led to circus arts in 2013 when she took her first flying trapeze class. From there she accelerated into the world of acrobatics, learning wraps and drops on the aerial silks, spins and contortions on the lyra, and became a flying trapeze instructor. In 2015, with the support of her fitness and yoga instructors, Amy received her Aerial Yoga Play certification. Amy loves sharing the joy found in Aerial yoga and lyra with her students. She thrives on watching them learn to trust their bodies, to grow in their abilities, and let go of their fears – imparting a newfound courage beneficial in all aspects of their lives. 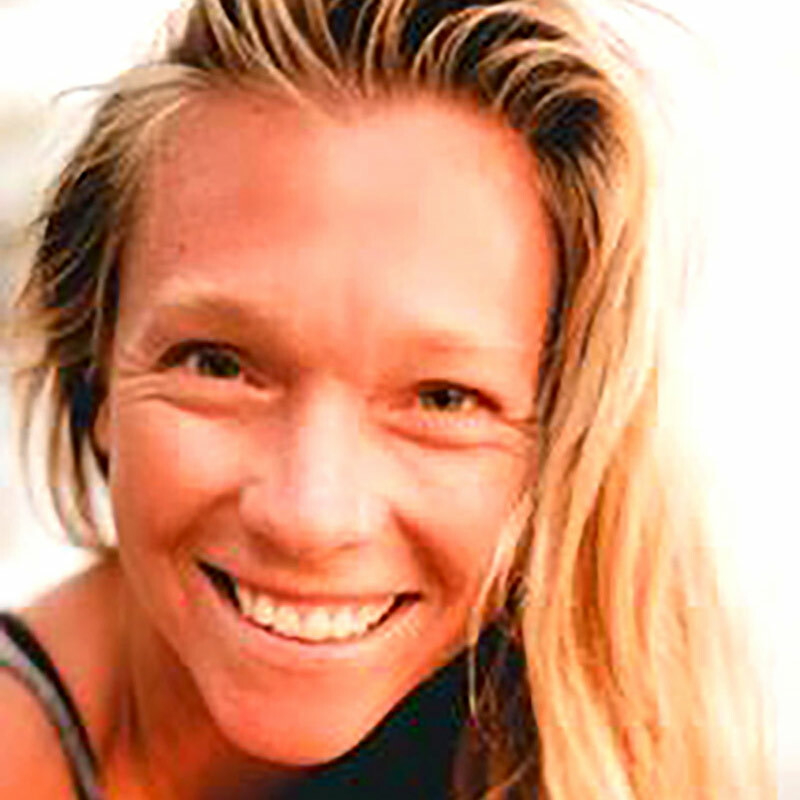 Annie Davis is a 200 hour Yoga Alliance certified teacher. She completed her training in Bali with Eoin Finn’s Blissology School of Yoga. 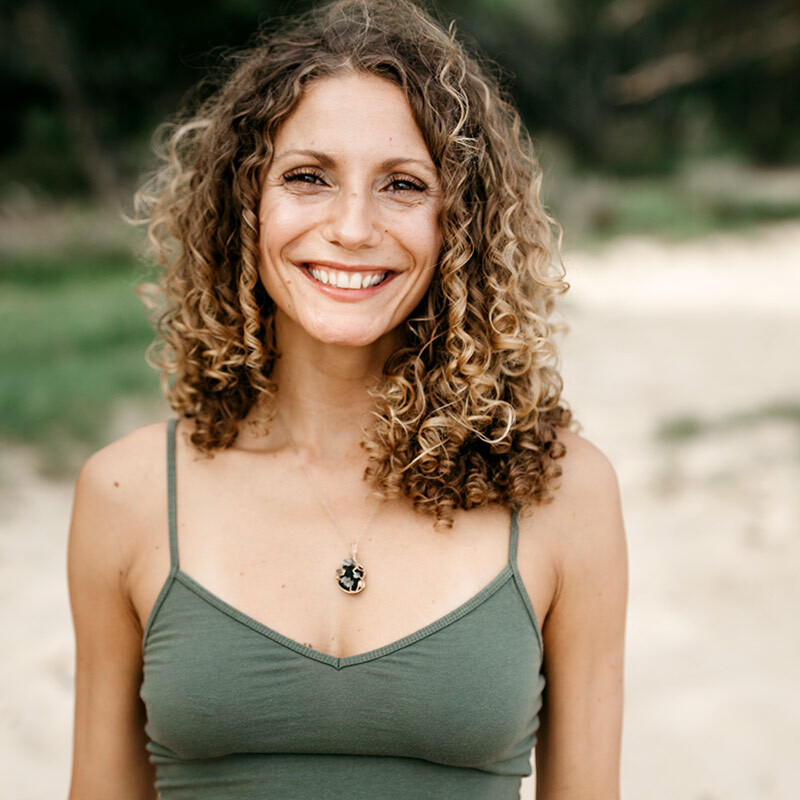 Annie believes that yoga is a powerful tool to deeply connect with ourselves, with one another, and the inspiring nature that surrounds us. Annie discovered this for herself after a high school back injury reappeared as chronic pain while she was in college. On a whim she started attending a Hatha yoga class at the gym where she worked. She loved the sense of peace and calm she felt after her very first class. Amazed at not only how her pain disappeared, but her stress over exams and work were alleviated as well. She was hooked. From training celebrities in New York City to leading retreats on tranquil islands in South Asia, the past decade of Becca’s professional wellness journey has spanned across the globe. Highly skilled and holding an array of diverse certifications, Becca mindfully infuses her expertise with humor-spiked compassion to create fun and safe programming for her group classes and unique prescriptions for individuals in private sessions. Becca has spent a substantial amount of time training and working abroad, graduating Distinctive First in her class earning two diplomas in Yoga Education and Yoga Therapy from Yoga Vidya Gurukal and the Bihar School of Yoga in Nasik, India; RYT-200 from Anna Sugarman Vinyasa Flow in Koh Samui, Thailand; and Therapeutic Thai Massage from Thai Massage School of Chiang Mai, in Chiang Mai, Thailand. Additionally, Becca holds certifications from the National Academy of Sports Medicine, STOTT Pilates, AFAA Group Fitness and AFAA Kickboxing. 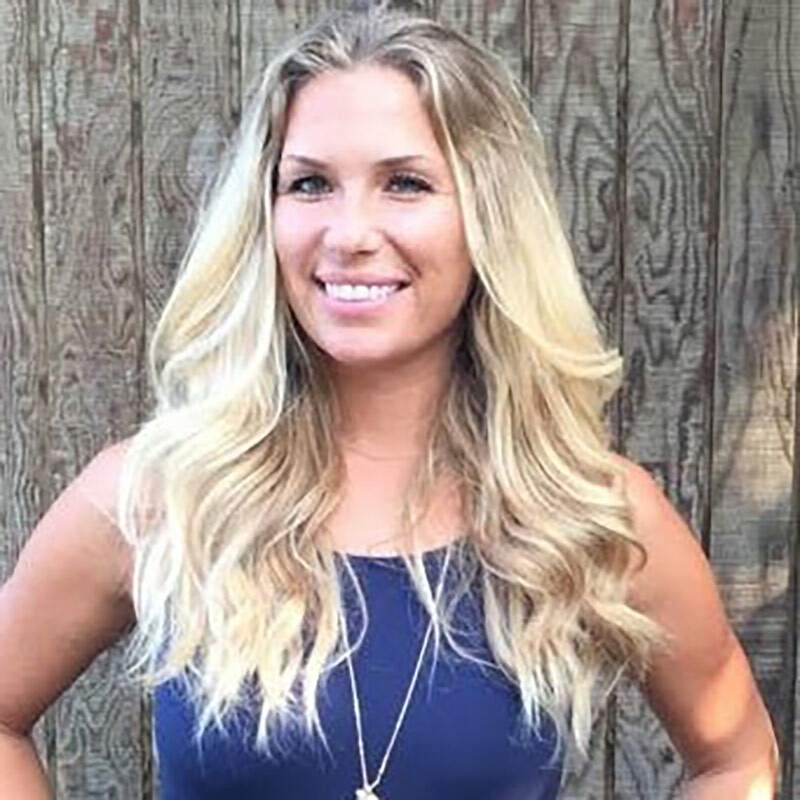 Becca’s passion for healthy living led her to start her own wellness business, where she has the opportunity to connect on a deeper level with her clients by helping them make overall changes to lead cleaner, healthier lives. She is continually sought after to share her knowledge by collaborating with some of the most respected teachers in the industry on retreats and workshops throughout Europe, Asia and the United States. Beth grew up teaching interpretive dance in her church, competed in gymnastics for two years, and played most sports her school offered. In college she became logistics for an Outdoor Adventure Club. Since 2006, she has been an adventure guide leading people through class V rivers, down into raw caves, climbing mountains, biking the dirt trails, and zipping people through the rainforest of Alaska. After moving to Maui in 2015, yoga became a daily part of Beth’s life and got certified in ZFlow Power Yoga. Through yoga, Beth has learned non-judgement of herself and realized that being a yoga teacher is one more step of her journey of being an aerial instructor and a ultimately, a LIFE coach. She has a heart to help those that are asking for help and attending a yoga class is one way to ask. Beth concentrates on filing you with words of LIFE that you need so that you can let go and be UNSTOPPABLE. Beth also offers henna or hair wraps to her class attendees. One simple henna or hair wrap for your first class, and then another one every 5 classes. Bonnie’s fitness philosophy is to keep the body healthy through lifelong physical activity, no matter what your age. Growing up, she was a competitive gymnast. Today, she remains very active doing a variety of recreational sports, including tennis, golf, biking, and trail running. 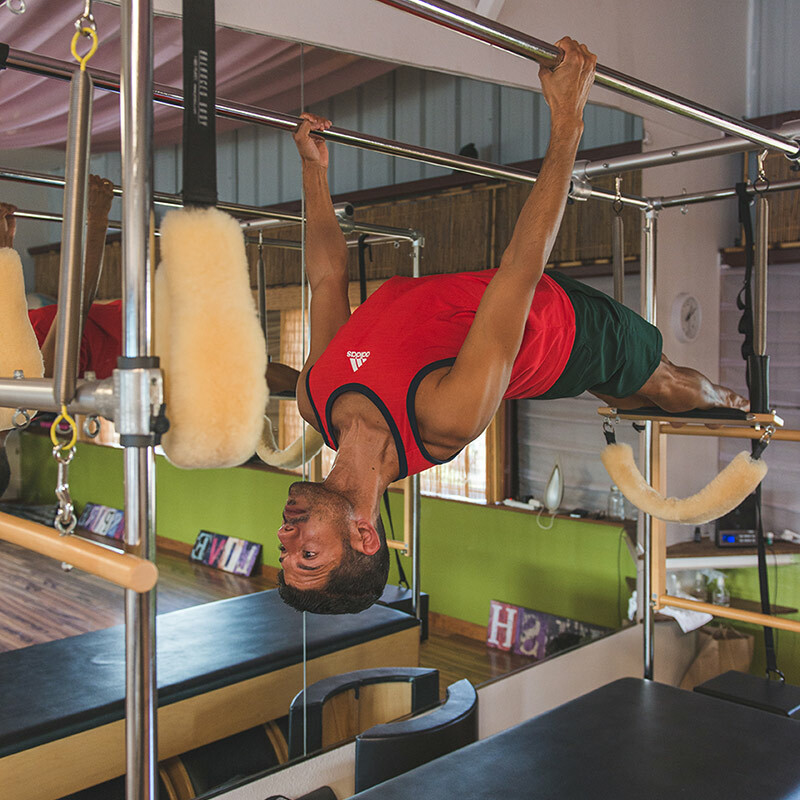 Pilates complements these activities by strengthening the core and encouraging healthy movement patterns throughout the body, while challenging the mind through focus and concentration. Bonnie practiced Classical Pilates for 8 years before completing the PEAK Pilates Comprehensive Certified Instructor program at the Lifetime Academy in Reston, VA. To Bonnie, the joy of teaching Pilates is in introducing new students to the Peak Pilates concepts and equipment — reformer, mat, tower and chair — and instructing them how to properly do Pilates exercises by applying the tenets of the Peak method of instruction. 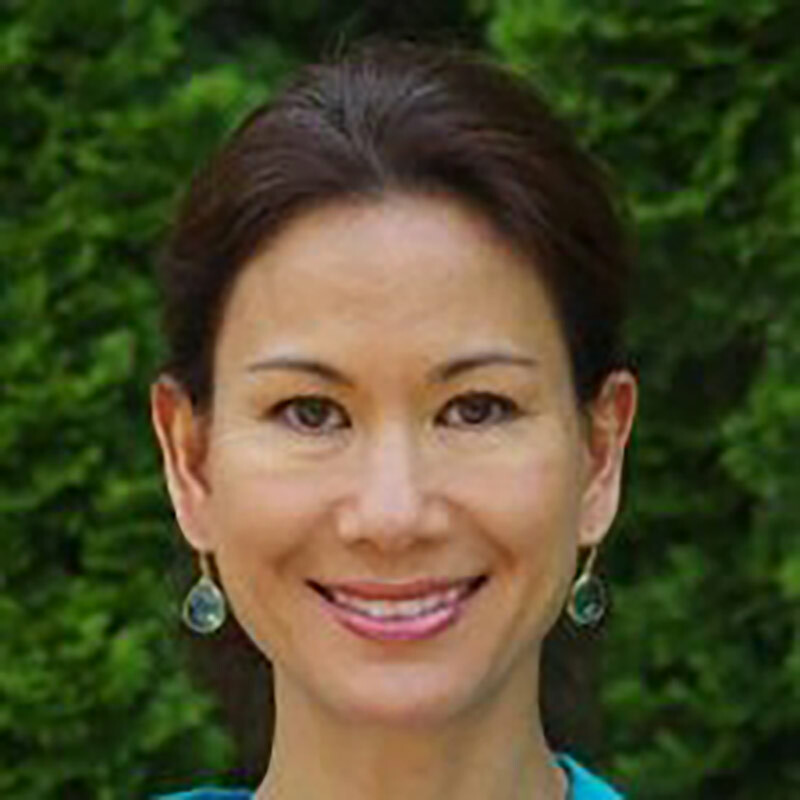 Originally from Honolulu, Bonnie is a mother to two sons, and is an MBA graduate of the McDonough School of Business at Georgetown University. C.A. Greenlee is a highly motivated, poly-kinetic aerial artist. With a background in photography, she holds a Bachelor’s and Master’s degree in Fine Art. She fell in love with pole while living in the San Francisco Bay Area and refined her skills at Atomic Allure dance studio in Oakland, California. She practices pole daily, expanding her encyclopedia of tricks, increasing strength and flexibility, and collaborating with other dancers to develop a community of aerial addicts. In addition to pole, she expresses herself physically through lyra, silks, barre, aerial yoga, and cross-training. In August 2018, she earned the first place title of “Miss California Fitness” at the International Natural Bodybuilding Association’s California Naturals competition. In her teaching practice, C.A. strives to create a strong sense of camaraderie amongst her students, and a space free of fear or judgment, where participants can feel uninhibited to exercise body positivity and sensuality. This is the environment in which her students thrive. C.A.’s teaching style is inclusive and inspiring. She can help beginners build a foundation and grow their confidence as they learn the basics of pole, offering conditioning exercises and modifications for any trick. Students who are intermediate or advanced will enjoy the challenge of more complex combination moves, spin-pole choreography, and professional guidance to polish their existing skills. Come learn the art of levitation with pole instructor, C.A. Greenlee! Claudia Micco has been in the fitness industry for 28 years. 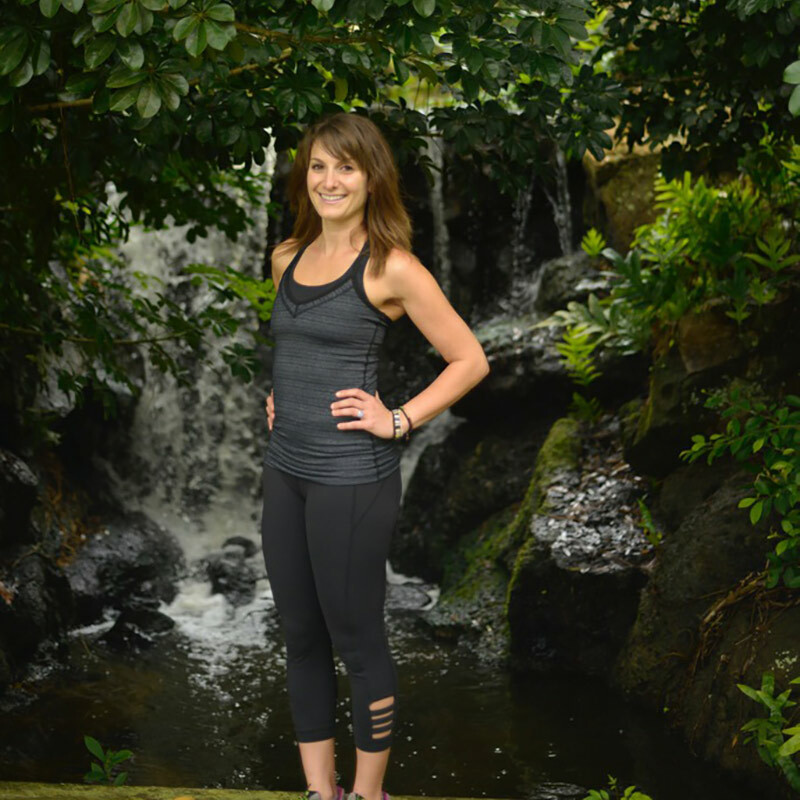 She is currently the Fitness Coordinator at the Ritz Carlton Spa in Kapalua Maui, where she trains clients from all over the world and trains instructors. She holds her ERYT 500 thru the Yoga Alliance, is ACE Certified, Pilates, TaijiFit, Franklin Method trained, a licensed Hypnotherapist and Lomi Lomi Massage Therapist. She is also the Master Trainer for YogaFit Inc in Hawaii. Her unique education qualifies her as a seasoned professional. She has taught in hospitals, gyms, resorts, spas, cruise ships and retreat centers all over the US and Europe. In 1985 she began her instructor training in the fitness industry while graduating from the Strong, Stretched & Centered Mind/Body Institute on Maui with Gloria Keeling. She studied, Yoga, Tai Chi, Weight Training, Aerobics, Alexander Technique and other Mind/Body modalities. Claudia coordinated group fitness programs, trained clients and instructors for Golds Gym in the San Francisco Bay Area for 6 years, and then had a strong interest in the up and coming luxury spa industry. She spent time guest teaching at the Oaks in Ojai, CA and Canyon Ranch in Tucson, AZ. She went on to work and live at Rancho La Puerta Spa in Tecate, MX and with The Golden Door Spa At Sea Program in 1992. In 1994, her dream of living on Maui came true when asked to work with her mentor Gloria Keeling of the SS&C Mind/Body Fitness Institute. She managed the school and trained instructors to prepare for the ACE (American Council On Excercise) certification exams for 6 years before moving to Germany to train instructors in HypnoFit a method that combines Yoga, Hypnosis and Fitness. She continued to travel and teach throughout Europe before moving back to Maui in 2002 to pursue opportunities in luxury resort fitness and spa industry. 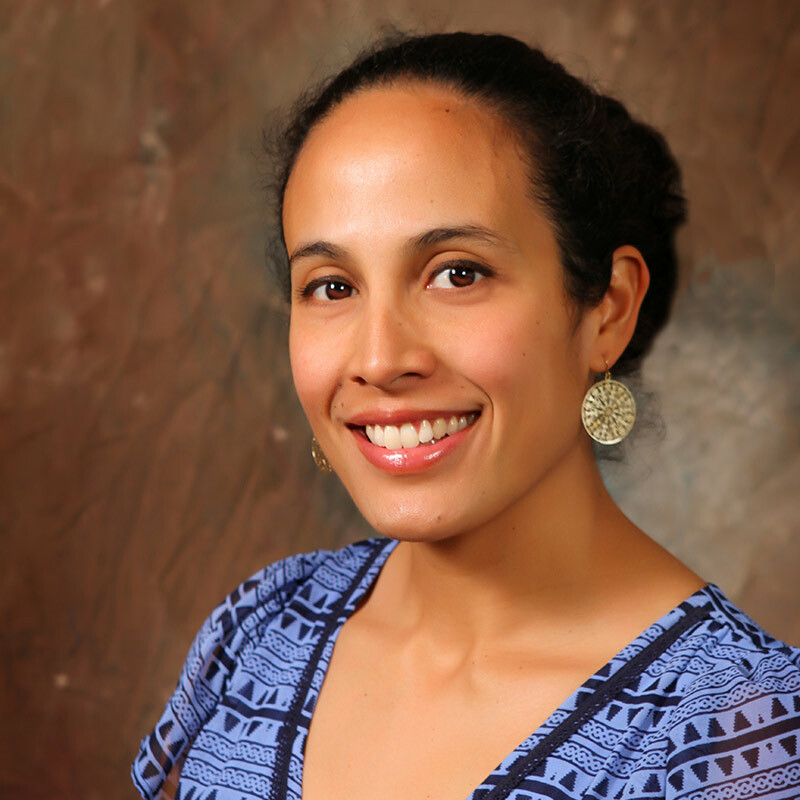 Cristina Solorio is an American Council on Exercise (ACE) certified personal trainer with additional certification credentials from UC Berkley. For over 22 years, Cristina has been assisting clients in achieving health and fitness goals. Recognizing that each client is vastly different from the other, Cristina customizes her training programs according to her client’s personal needs, taking strengths, weaknesses, physical abilities, prior history, activity preferences, and personal goals into consideration. Her passion is imparting a healthy lifestyle and body image to her clients and motivating them to maintain these habits throughout their lifetimes. As an avid runner, Cristina has coached runners of all levels; however, she specializes in teaching beginners to master the sport so they can maximize their efforts. Cristina has competed in National Physique Committee (NPC) figure competitions, has amateur boxing experience, has played in various local softball teams, and is an accomplished salsa dancer. Cristina’s experience and interest in such diverse activities allows her to provide a variety of customized curriculums to her clients and keeps her workout sessions fresh and exciting. Cristina is also certified in TRX Group Suspension Training and TRX Functional Training; Rocktape Fascial Movement Taping Level 1 and 2; and is a Precision Nutrition Level 1 Coach. 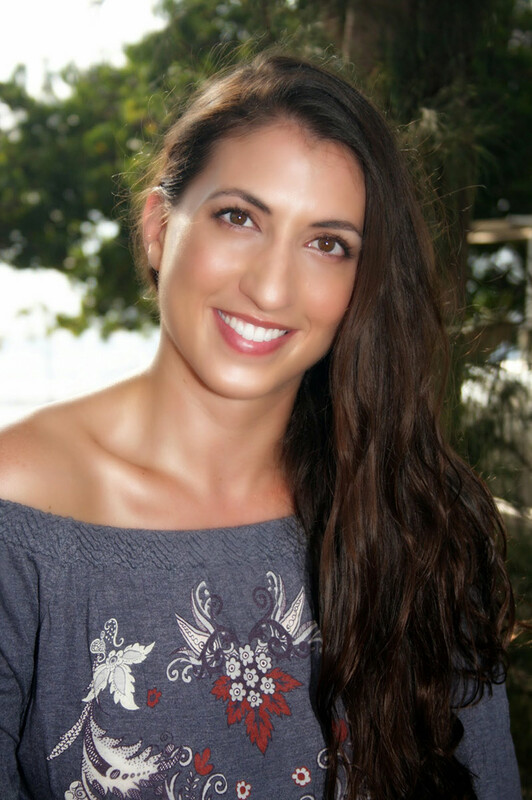 Dr. Chandy Lopes is a licensed Naturopathic doctor in Hawaii, with a private practice located in Lahaina, Maui. She received her doctorate degree from Bastyr University in Kenmore, Washington and has been serving the Maui community since 2013. Dr. Lopes is especially passionate about creating custom, individualized diet & nutrition programs to optimize health, well being, and hormone balance. Her goal is to create long term change by integrating objective data from lab tests and physical exams with alternative medicines like nutriceuticals, detoxification, and stress management techniques. Her treatments are especially helpful for women suffering from PMS, low energy, or pre-diabetic and insulin resistant, or when lab results are not accurately reflecting what someone is feeling. One of her special interests is utilizing a low carb or ketogenic type life style with intermittent fasting to increase longevity, aide in weight loss & balance hormones. Emilee Kern is a Foundation Training Student Teacher, a Yoga Instructor, a Wellness Coach, and an Advocate for Personal Empowerment. She obtained her Foundation Training Certification in Santa Barbara in September 2016, her 200hr Yoga Instructor Certification from Afterglow Yoga in Wailuku June 2016, and will have completed her online Wellness Coaching program in February 2017 from the Institute of Integrative Nutrition in New York. Emilee has been practicing Yoga for over 5 years. She enjoys Power and Vinyasa Flow classes and loves Yoga because it changed her life. She developed a positive mindset and all around a more conscious way of living after Yoga contributed to her connecting to her higher self. With her new-found use of a positive mindset along with nourishing her body and soul, she understood the power that we each contain inside of us. She has made it her life purpose to help others find their passions and to connect to their inner wisdom and healing abilities. Foundation Training came into her life after she met her husband on Maui while he was here to receive help from a fellow Foundation Training Student Teacher. Her husband had spent 6 months in a wheelchair after years of incorrect posture and prolonged sitting cause him severe back pain. He became and remains pain free from utilizing Foundation Training. This inspired Emilee to become certified and to share this method with others who also suffer from back pain and could use improvement in their posture. Other things that Emilee also enjoys to implement into her practices are Essential Oils, Oracle Cards, Vison Boards, and Guided Meditations. When she is not working with clients or on herself, she enjoys surfing, enjoying the sun, and spending time with her husband Beni. The fluidity of Athleticism in everyday movement has always been Eric’s passion. 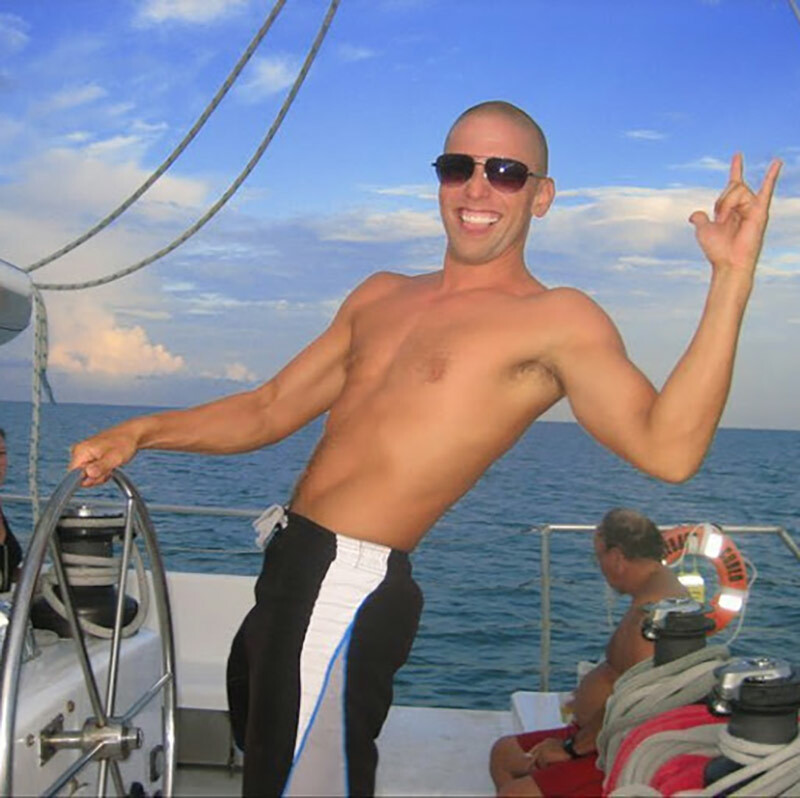 In over 10 years of training in studios and homes from the East coast to the West, Eric has been helping people realize and achieve a full spectrum of fitness goals. Eric believes an educated and practical approach to fitness is the only way to reach our desired goals. 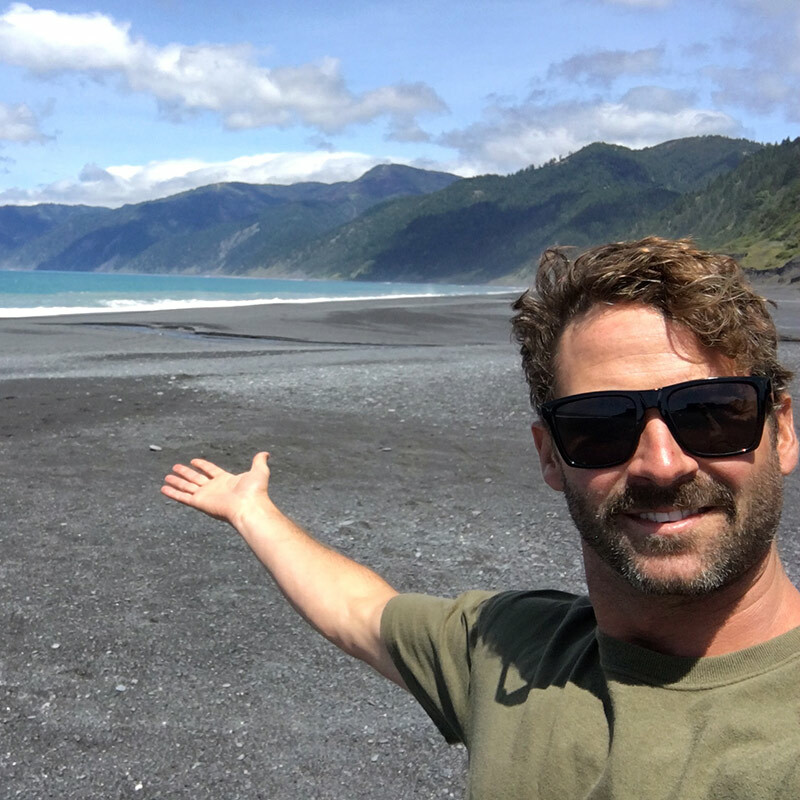 As an ex-collegiate athlete, competitive big wave surfer, and motorcycle racer, Eric understands the determination and dedication required to be at the top of ones’ game. Felicia Chernicki-Wulf started dancing with Foy Dance Studio at the age of 3 and has continued to dance ever since. She lost her first tooth in Miss Carolyn Foy’s ballet class. At age 14, she received a full scholarship with City Dance Center in Yuba City, California. She later became an assistant and eventually an instructor with the studio. She has degrees in Behavioral and Social Sciences, as well as Arts and Cultures. Felicia has received training in many different types of dance including ballet, pointe, lyrical, tap, jazz, hip hop, swing, salsa, lindy hop, and blues. She met her husband through dance. The two have taught various forms of social dancing both here on the island and on the mainland and can be seen performing in various productions on Maui. Felicia believes that music and dance are incredibly beneficial to one’s self and well being and is excited to share her passion for both with her students. Genevieve Ruvald is a native Californian, who hails from Sonoma, CA and went to school at the University of California San Diego. It was in San Diego where she learned and developed her passion for teaching and coaching. Having played basketball for UCSD she has a strong athletic presence and a vast knowledge of sport specific training. 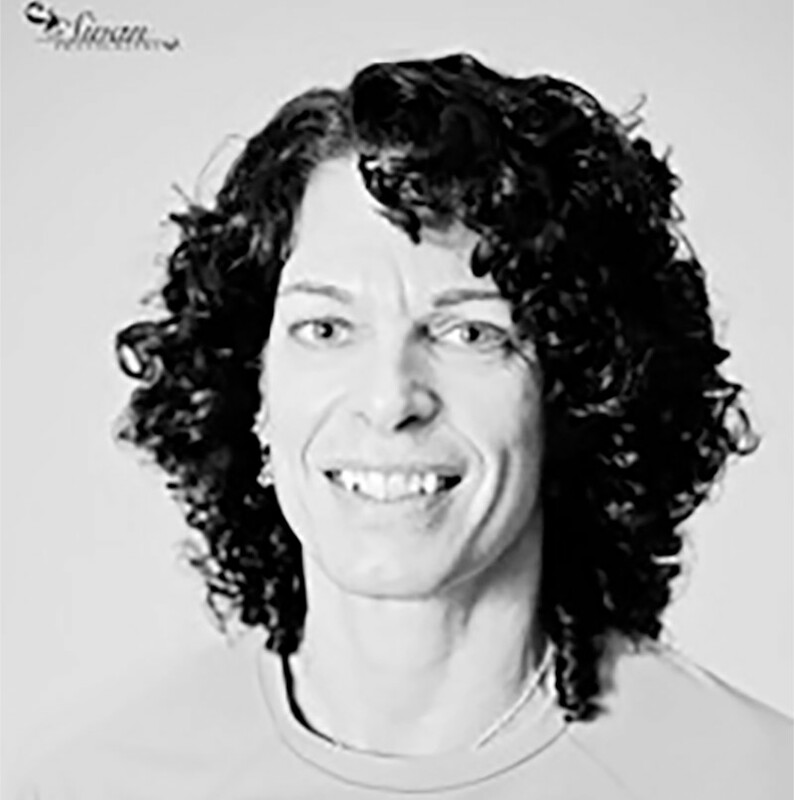 She is a STOTT Certified instructor, and believes in form, function and quality of movement. She came to Maui 2 years ago to establish and build a non profit organization, Westside Hoops, to help Maui youth with character development, getting kids help in school so they can go to college and improve their opportunities for their future. Her passion for teaching goes beyond coaching basketball, and teaching Pilates. She is focused on helping people learn as much about the body’s infinite amazement. You will undoubtedly learn something new in every class and feel a new muscle you didn’t even know you had. Gianna was born and raised in California and moved to Maui to pursue her dream of working with marine animals. Her interests include far more than just marine life, however. 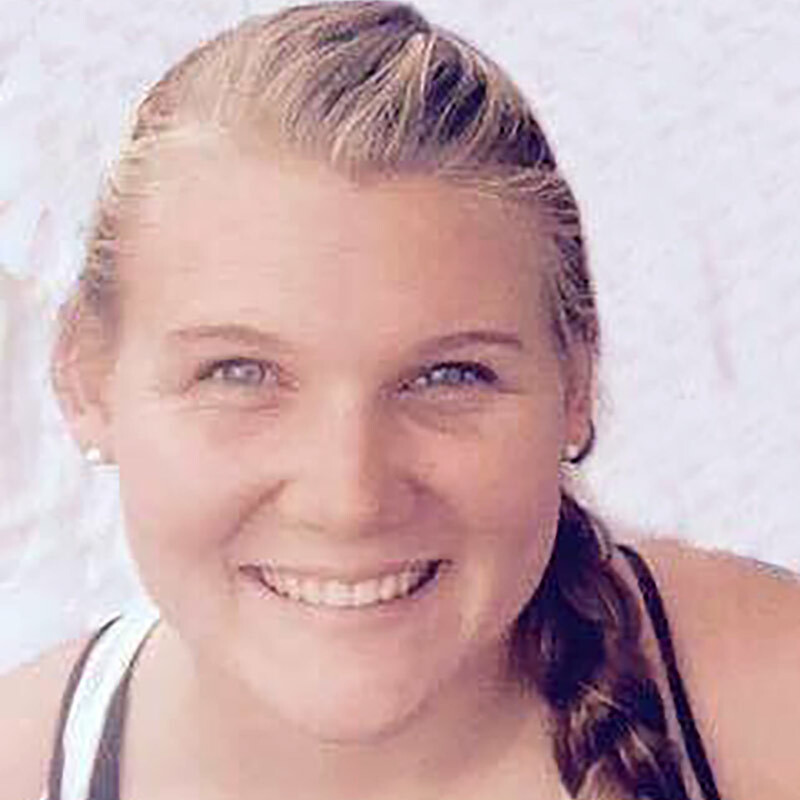 A lifelong sports enthusiast, Gianna played Women’s Ultimate Frisbee and Water Polo in college. College is also where Gianna discovered and fell in love with aerial silks. She has been practicing aerial for 5 years and is expanding her repertoire for circus arts by dabbling in lyra, lollipop, pole, hammock, straps, and static dance trapeze. She is very excited to share what she’s learned and to introduce new people into the wonderful world of circus arts. Miss Jaidah Terry, of Makawao, is originally from Illinois. She is a free-lance ballerina with over 11 years experience in dance and fitness. Jaidah began choreographing at age 6, formally training in ballet, pointe, jazz, modern, and Yoga at 13, and began dancing professionally at 18. She trained with Peoria Ballet Academy, Ballet Chicago, American Ballet Theater, and Alonzo King’s Lines Program. Her professional experience includes dancing with The DanceWright Project, Labayen Dance SF, Peninsula Ballet Theater, David Herrera’s Performance Company, Copious Dance Theater, Naples Ballet, Man Dance Company, and The Quimera Dance Tribe, to name a few. She has a background in early childhood education, personal training, and energy work. She is CPR and First Aid certified with over 10 years teaching experience working with ages 2-102 in Illinois, California, and Maui. Jaidah is a healer. Her knowledge and nurture combined create and environment destined for growth. Her passion is contagious. Dance with a pro. Feel like a pro. Reap the benefits of energy flow! 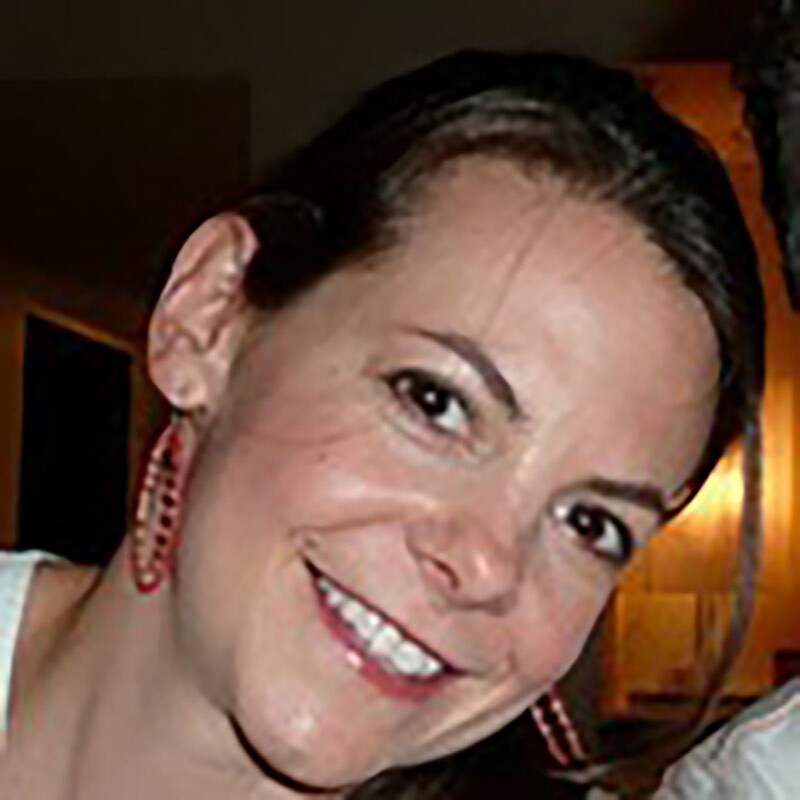 Jane is a certified Pilates Instructor on both Mat & Pilates equipment and is also certified in Gyrotonic and Barre. She has been teaching fitness for over 12 years in a wide variety of venues, from upscale, high-end gyms to physical therapy centers and Hot Pilates / Yoga studios. She is a retired professional dancer and used to perform and dance in numerous large professional shows on the Las Vegas strip. Jane has a strong passion for teaching all types and styles of classes to all different levels and ages of people. Helping others feel really good mentally and physically about themselves drives her in teaching and fills her with great joy! Jason began dancing at the age of seven and continues his enthusiasm for partner dancing passed on from his parents, professional dance instructors themselves. Thru the years he has embraced many of the social partnered dances such as Swing, Lindy Hop, Blues, Salsa, and Argentine Tango. Jason has been recognized by dance instructors and students alike as having the unique ability to teach dancers of all skill levels in a fun and lively setting. He was a co-founder and main instructor for Swing Maui. Together with his wife and dance partner Felicia, a dance instructor herself, they bring a background rich in dance movement and teach fun, exciting classes that get you up and moving. Jenna has been practicing yoga for 15 years. After overcoming illness, and the subsequent journey inward, she sought a meaningful way to give back to the community, and share her joy and gratitude for life with others. Inspired by the opportunity to impart empowering positivity and introspection through teaching yoga, she is fulfilling her dream of sharing the magic that happens when we connect our mind and body through breath. In deepening her own yoga practice, she was introduced to Fluid Yoga by Kevan Gale, and received her RYT 200 hr. certification with Stil Studio. Additionally Jenna holds a certification for a restorative practice called SPA Yoga, a pampering floor-based class by candlelight, aligning practitioners with the inner wisdom of deep relaxation. Both styles offer a mindful flow for all levels, leaving yogis feeling more centered, carrying the magic off the mat. Jen was born on the side of water in Washington State where she grew up hiking and skiing in the Cascade mountains. A national park backcountry/climbing ranger in the summer and professional ski patroller in the winter, she was introduced to surfing on a vacation to Maui… and the rest is history! With hubby, Scooter and two furry, four-legged kids, they traded skiis for surfboards and made the transition to island-living. Sharing her love for movement, in any form, be it wet, or dry is Jen’s passion. Most importantly, Jen believes what you do should make you smile! Do what makes you happy and your entire being will reflect that happiness. As owner of Lovelight Yoga, Jess is energetic, motivated, and always happy (and always up for a good workout!). She tends to wake up early and enjoys her day to the fullest by running, riding her bike, surfing, and practicing yoga. She enjoys combining cardio, dance, and strength training with yoga to achieve a solid workout for the mind, body, and spirit. Jess doesn’t view yoga as just a way to get an awesome workout, though – she sees it as a way to be happy and healthy on the inside as well. Jess believes in focusing on mindfulness, presence, and inner light throughout her classes so that she and her students leave the space feeling ready to take on the world! 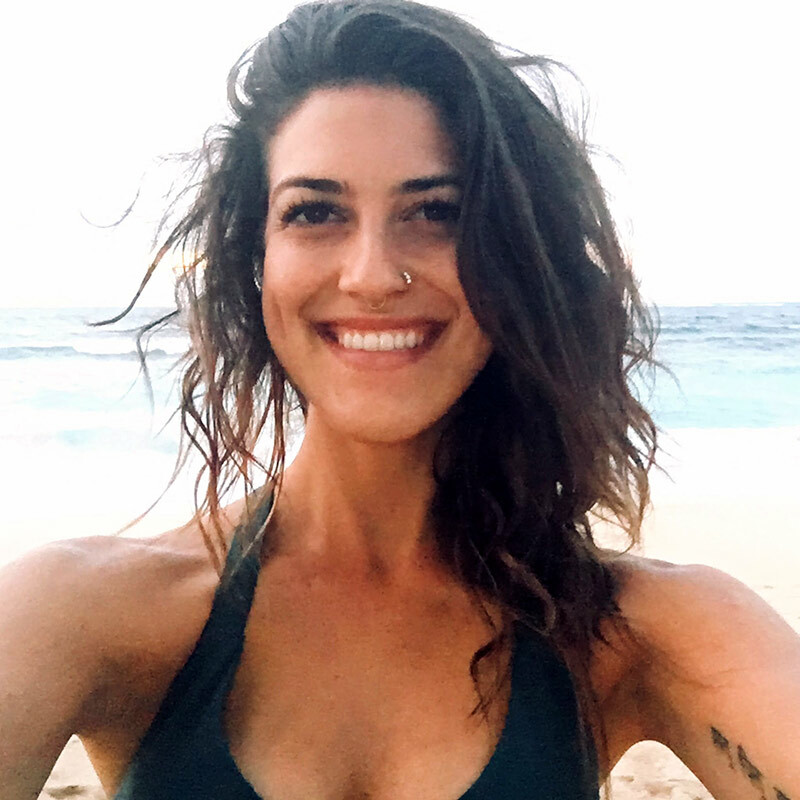 Jess’s goal in Hawaii is to share her love of fitness and yoga to people who have a desire to be healthy, happy, positive, and full of love and light. 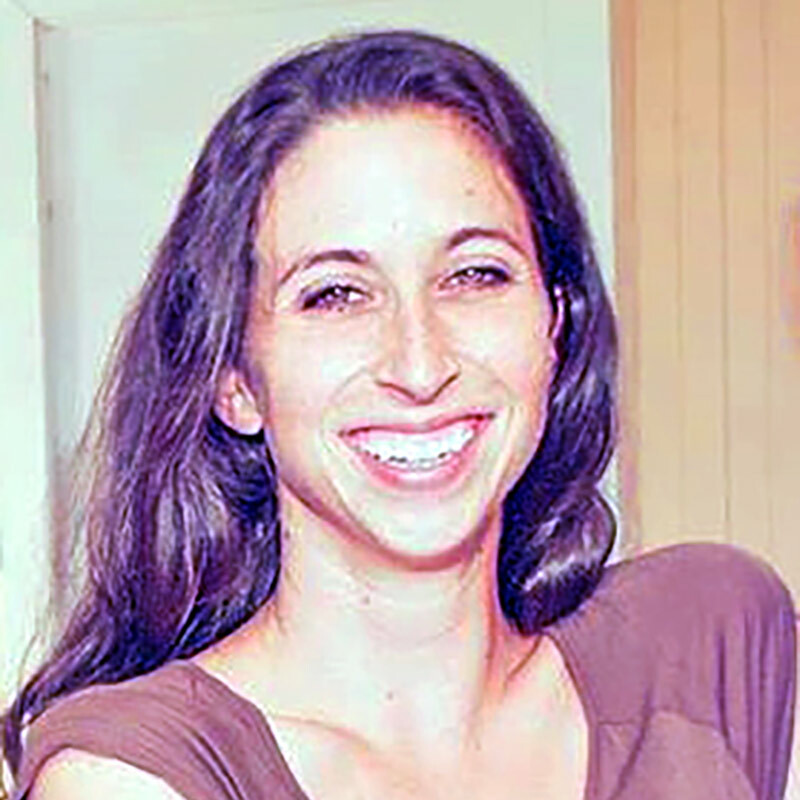 She’d love to start a hiking and yoga group that focuses on being outdoors and embracing the peacefulness of nature through exercise and meditation. Jess enjoys teaching all types of yoga. She loves SUP yoga because it allows her to get out on the water and be present in her environment. Hot Core power, Sculpt, and Buti yoga are also some of her favorites because they enable her to let her hair down, get her heart rate up and just MOVE. Yin Yoga and graceful vinyasa let her get in touch with her body and what it needs to work on to feel as great as possible. Jess loves to learn about the people in her classes – she wants to know about their needs and goals because if you are always a student it helps you as a teacher and as a friend. Jennifer’s love for gymnastics started at the age of 5 when she joined her first gym. Her need for constant movement and energy release was met graciously through sports like gymnastics and dance. As her love for gymnastics grew she continued to develop her skills both competitively and recreationally. 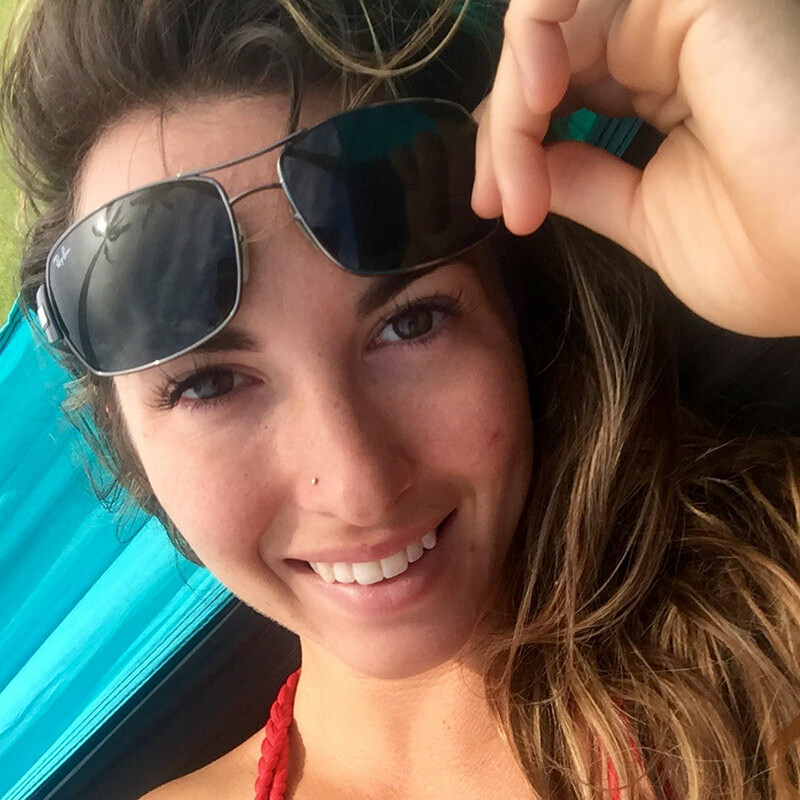 After graduating high school in Cape Cod Massachusetts her curiosity and passion for travel & adventure landed her in Oahu where she went on to pursue her college degree at Hawaii Pacific University. She graduated with her bachelors degree in advertising and marketing and after working in Oahu for several years later got a job transfer to Maui. After several years in a corporate setting she began working part time for Maui Tumblers and quickly decided that coaching was where she truly belonged. She left the corporate world and went on to work for Maui Tumblers as a full time coach and van manger in 2013. Her goal as a coach / mentor is to provide a safe, noncompetitive learning environment where children can come to learn, grow and have fun with their peers. While participating in tumbling classes each student will learn the art of stretch, body control, following directions, as well as conditioning while gaining valuable gymnastic skills. The use of repetitive and positive reinforcement will also allow each student to grow at his or her own individual pace. Jennifer strives to make learning as fun as possible and offers classes to children between the ages of 2 and up. With the rise in popularity of Action Sports in the 90’s, Jesse was lucky enough to find sponsors at a young age, pushing Snowboarding as far as his body would allow for 16 years. Throughout his career, Jesse’s body sustained a laundry list of injuries, many requiring surgeries that left him with limited mobility and severe aches and pains at a young age. By fate, Jessie took a yoga class his freshman year in College in Durango, CO, for his 200 hour training. It didn’t take him long to start seeking out yoga as a way to rehabilitate himself and his injuries. Jesse feels Durango was an amazing place to grow his personal practice while studying Business and Philosophy. He had the privilege to learn from knowledgeable and well practiced yogis and, once he realized there were no rules to yoga, he began to develop a series and a sequence of his own. Through learning Yin and Restorative yoga, he was able to incorporate breath work to identify and adjust his multiple sources of pain. As Jesse began noticing improvements in his range of motion and acquire more comfort in his body and mind, he became hooked on the desire to advance his practice. He continued to work with and learn from incredible yoga teachers in both Colorado and California, along with online teachings. Jesse’s experience, and the improvements in the physical, mental and spiritual realms of his life, cultivated a desire to share this practice. With restored physical capabilities from maintaining a personal practice, Jesse has been able to compete and instruct both Surf and SUP at a professional level. He has trained and completed multiple Teacher Certifications, including Stand Up Paddle Yoga Teacher Certification through Gillian Gibree with Paddle into fitness recognized by http://worldpaddleassociation.com/ and Yoga Alliance. The combination of his personal practice, the ocean, and a passion for teaching grew a desire to share the opportunity to reclaim body, mind, and spirit pre- and post- injury with SUP Yoga. Jessie offers two private trainings: SUP FIT and SUP RESTORE. Both lessons include ocean knowledge and equipment selection suggestions. SUP FIT will help refine your stroke and will teach advanced race techniques like the pivot turns for race buoys and waves, along with Race Launch, Recovery and Rescue paddle. SUP RESTORE is a combination of classic stretches and yoga asana combined with advanced surf and yogic breathing techniques. Designed for both Yogis and Surfers SUP’rs without experience. A lifelong athlete and lover of physical activity, Jordan found yoga in 2015 and was hooked from the first class. Through a daily Asana practice, she has found sanctuary on the mat, tapping into a reserve of calming energy and the transformative, healing power of the breath. As her practice has deepened, it has expanded into all areas of her life. She firmly believes that a yoga practice is a lifestyle, and that while increased strength and flexibility are but two of its benefits, its implications extend far beyond the physical realm. Yoga is a way of revealing and celebrating the divinity within and all around us. Fascinated by the transformative potential of this sacred science and eager to immerse herself in spiritual study, Jordan completed her 200 hour teacher training in Bali with the Anusara School of Hatha Yoga, where she deepened her grasp of pranayama, the foundations of the yogic tradition and philosophy, her meditation practice, and alignment principles. Feeling blessed to be so filled with love and light, Jordan is honored to be able to share the gift of yoga with her students. Kara Loves spending time outside adventuring and exploring the world around her. She craves knowledge and especially enjoys learning about wildlife, nature, and different cultures (especially culinary aspects). While growing up in Michigan, Kara was stuck indoors for months every winter so she and her sisters played lots of sports and lifted weights while waiting for the spring sunshine. Professionals now understand that heavy weightlifting is unsafe for young, undeveloped bones, however Kara was unfortunate enough to injure her lumbar spine performing squats in a weight lifting competition at the age of 16. After having over 300lbs on her shoulders, the spine gave in and Kara was forced to quit sports her senior year, put in a body cast, and eventually committed to 100% bedrest. It was traumatizing for her and her family. After countless MRI’s, bone scans X-rays, experiential cortisone shots, doctors concluded that they did everything they could and the spine, disks and scar tissue needed more muscle to support the injured area. Kara began physical therapy. She started learning about the body and how movement is scary after guarding an injury for months but it’s the only answer to long term health. Months of physical therapy followed including deep pool rehabilitation, yoga ball exercises, stretching, and cardio. While learning to deal with the pain, Kara completed her biology degree at the University Of Colorado Boulder. During a physiology class, she was introduced to the pilates method. It was a break through and Kara had to learn how to do pilates as well as teach others what had helped her get back to normal life. Kara realizes there will always be some level of pain in the body but it can be controlled and managed. For her, the only way is to commit to pilates movement a few times a week to stay strong and strengthened. This has allowed her to do what she loves again which on Maui is working on boats, dancing, and volunteering with organizations that help conserve ocean life as well as the native plants and animals that make this island special. 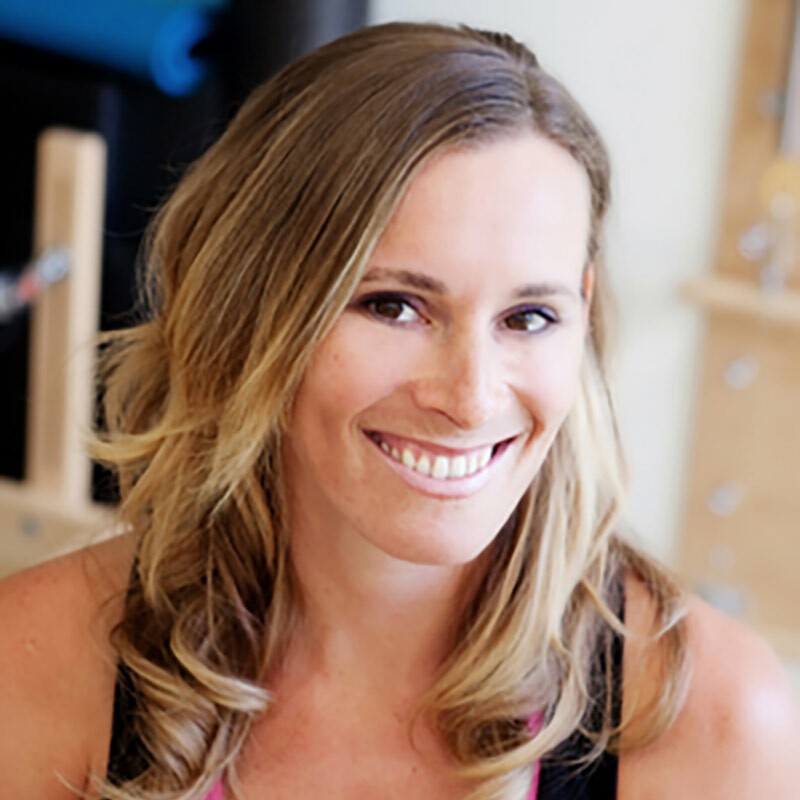 Kara became a fully certified Stott pilates mat/reformer instructor in 2013 and SUPilates in 2015 and continues to cherish the island life and healthy body she has today. He who has health has hope and he who has hope has everything. – Chinese proverb. Kellie started her life long love of fitness as a gymnast. Along with a love of movement and competition she learned how great form translates into other sports and activities. In high school she began coaching gymnastics and that sparked her love of teaching. She attended Penn State University to get an undergraduate degree in Biology. There, she began teaching fitness classes at the school gym. Teaching innovative fitness classes became a great love and she continued to teach during Graduate school at University of Pittsburgh. During grad school she became certified in TRX, spin, and other aerobic classes. She also ran two marathons. After a summer vacation during school she made it her goal to move to Hawaii after graduation. Two weeks after she finished she made Maui her home. She continues to run, cycle, hike with her dog, surf and paddle. – Help others complete their fitness goals! Kimberly was born and raised in Los Angeles, CA. She was born into an entertainment family and was dancing by age 4 in Ballet, Tap, and Jazz. Along with dance she pursued her dream of acting in film, TV, and theatre by working on numerous films and on television and by doing extensive theatre work. In 2003, Kimberly became an Arthur Murray dance instructor teaching Latin and Ballroom dance. Her passion for Latin dance took over and she danced with the two top Salsa and Brazilian samba companies in LA. Kimberly has always had a love and passion for fitness and loves helping others with their fitness goals, so she became a certified personal trainer with NASM and is a group fitness instructor with AFFA. In 2005, Kimberly became certified in Zumba, which opened up new opportunities for her. For several years, she worked for Club Med resorts in Florida, the Bahamas, Turks and Caicos, and the Dominican Republic. Although she started as a fitness instructor, Kimberly was soon recruited into the circus team learning aerial arts and flying trapeze. She also became a choreographer of the nightly shows. Her passion for circus grew and she was recruited to Maui to teach flying trapeze. Soon, Kimberly started dancing for the Elvis show and she became an aerialist for ‘Ulalena. Dance, fitness, and circus are Kimberly’s passions! She loves teaching and inspiring others and is so happy to be a part of the Body in Balance Ohana! Laura has had a passion for flexibility and contortion since she discovered splits in her first gymnastics class at age 5. She practiced gymnastics and ballet for many years and after moving to Maui she added hula and beach yoga to her repertoire. 9 years ago she became a licensed massage therapist through West Pacific Institute of Body Therapy and Body Dynamics. She specializes in sports therapy and enjoys helping her clients achieve their athletic goals and takes great delight in helping them discover what their bodies are truly capable of. 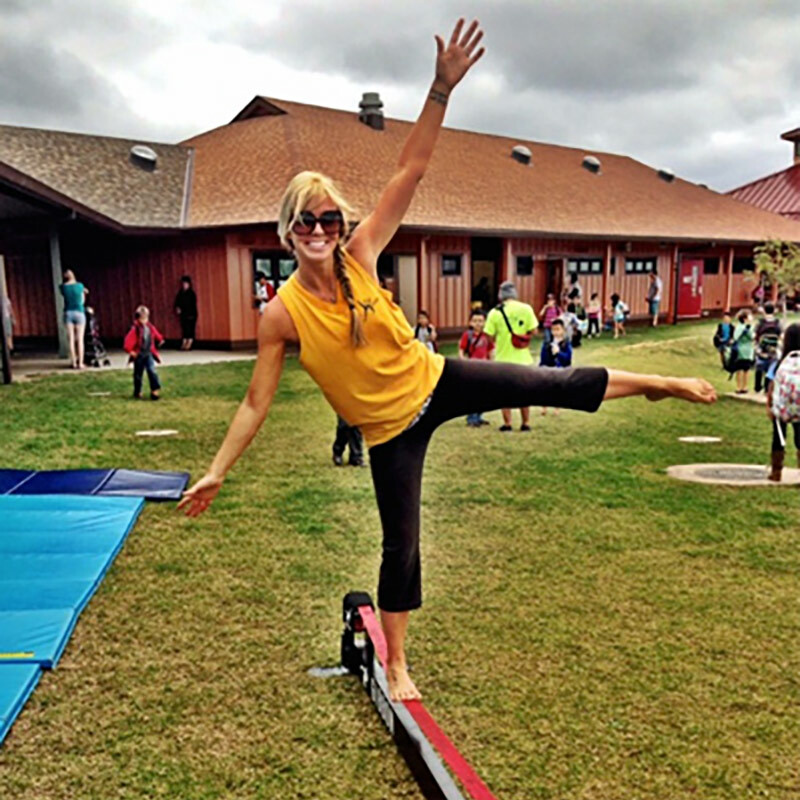 Laura is a certified Aerial Yoga Play instructor and loves bringing out the inner 8 year old in all of her students. Come join Laura in defying gravity in a myriad of circus arts! 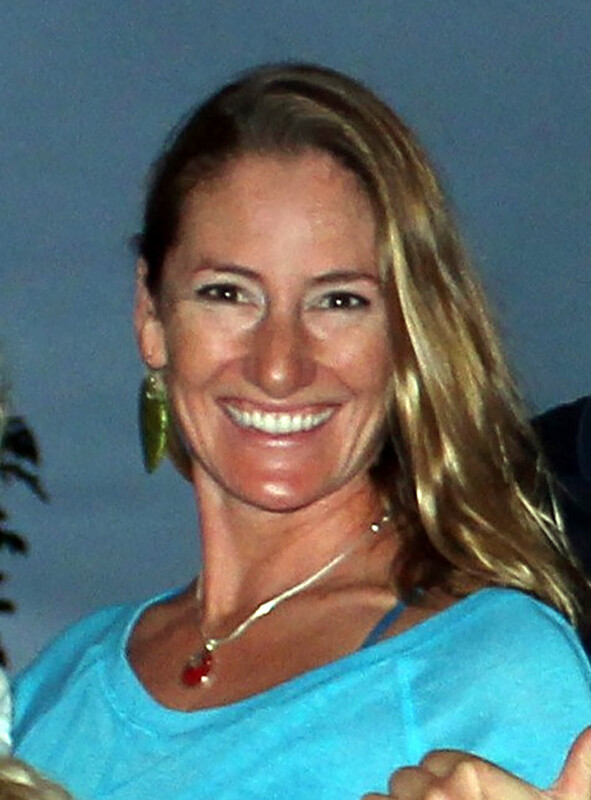 Lexi is a Kaua’i girl who has traveled the world teaching yoga and meditation from Bali to San Francisco to Boulder. Her past studies in Somatic Psychotherapy give her an insight into healing the mind through the body. Lexi also has also danced with the Vail Valley Ballet company and loves to sequence her classes with dance-like fluidity, strength, and grace. Luis started out like most young boys not wanting to dance, fortunately for him his mother was a salsa and merengue dancer. Saturday mornings in his house were filled with merengue music and his mother dancing in the kitchen, on this his favorite day for cartoons she would make him an offer… dance with her in the kitchen for 2 songs and get pancakes, or not dance and have a pancakeless morning. Luis REALLY liked pancakes so eventually he learned to dance to salsa & merengue, which made him realize how much fun dancing was. Many years later in his early 20’s he worked as a break dancer at a few large era NYC clubs and Entertainment companies on the East Coast where he started to teach his own style of dance. His love of underground dance led him to pursue House dancing, Pop & Locking, Hip-Hop, Capoeira, Salsa, Merengue, and Cumbia, which led him to take a different approach to dance class. 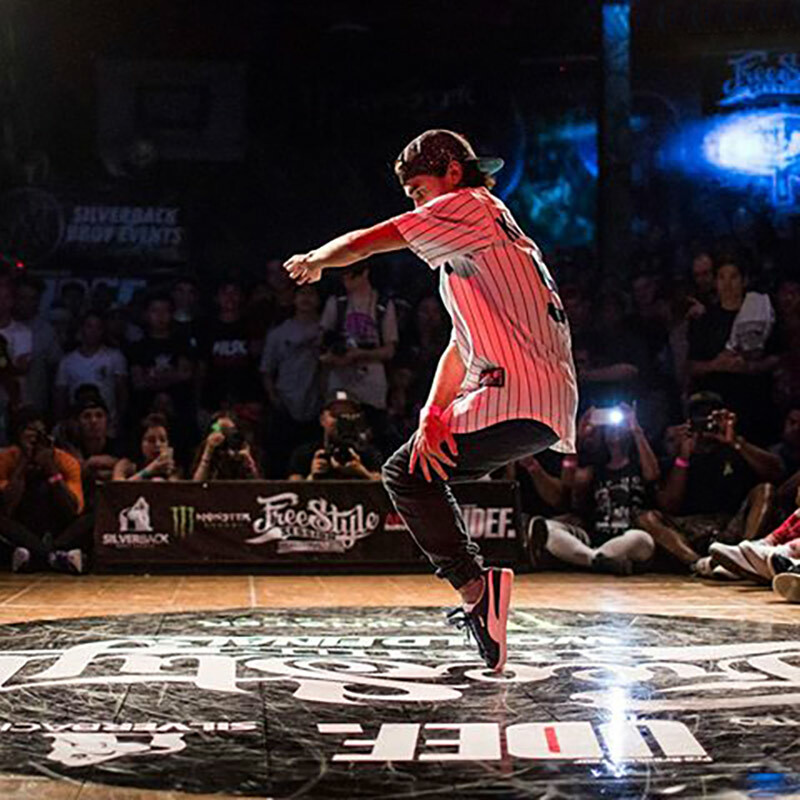 His vision was to teach you anything and everything to learn how to freestyle, to dance freely. Lynette Day has been a student of many styles of belly dance since 1998. A former member of Seattle’s Troupe Hipnotica, her interests have ranged from classical and folkloric dance of the Middle East to synchronized group improvisation and tribal fusion. Lynette has completed three phases of study in Rachel Brice’s 8 Elements™ Approach, of which she is a recognized official practitioner. She has worked as an Occupational Therapist since 2005 and enjoys using a therapeutic approach when teaching her dance students. She finds it important to educate her students on how belly dance can decrease the effects of the aging process. When I was 27, I hit rock bottom in my life. This propelled me on an unwavering quest to find inner peace, align with truth, and live a life of freedom. ​As a result of this journey I now teach what I discovered, learned, and know. If you’re ready for true self-discovery, a cosmic catalyst, a deepening of your spiritual practice, inspirational insight, a large dose of humor, practical ways to integrate all the aspects of human life, and to gain the clarity and confidence necessary to fully live out the life you were born to live… then we have work to do together. Marybeth began her dance training at Suzanne’s School of Dance at age 3 and never stopped. She basically grew up in her local dance studio, even assistant teaching as she got older to help pay for all the classes she wanted to take. Including ballet, lyrical, point, hip-hop, and tap. She has taken many master classes, workshops and has performed at many venues, competitions and events including the half time show of the Florida Citrus Bowl. She was also a state champion and recognized ‘All Star’ competitive cheerleader at Notre Dame High School. Marybeth attended Buffalo State College to gain a dual degree in special and elementary education. Here she also received a minor in dance studying under Janet Reed and Daphne Anne Finnegan. The degree focused on dance appreciation; dance composition; modern; ballet; teaching dance and performance. While attending college she helped Suzanne Hoyt Hummel to grow her Tutu Tots dance program which was published in Dancer Magazine in 2000 for being an innovate program for young dancers. She also worked with teachers from the American Academy of Ballet (Buffalo, NY) and taught classes there on occasion. Upon moving to Maui, Marybeth was one of the original teachers at Maui Academy of Performing Arts West Side (MAPA WEST). She was the sole teacher as the studio progressed teaching mommy and me, pre ballet, ballet, hip-hop, and Broadway musical until she moved to New Zealand in 2011. Marybeth is now back on Maui where she dances hula, attends yoga, surfs, and is getting back into her hobby of aerial silk. Marybeth is looking forward to re-growing her dance family on the West Side of Maui at Body in Balance. Monique St. Marie received her Bachelor’s degree in Physical Therapy from the University of Florida in 1999 after serving 6 years as an electronics technician in the US Navy. 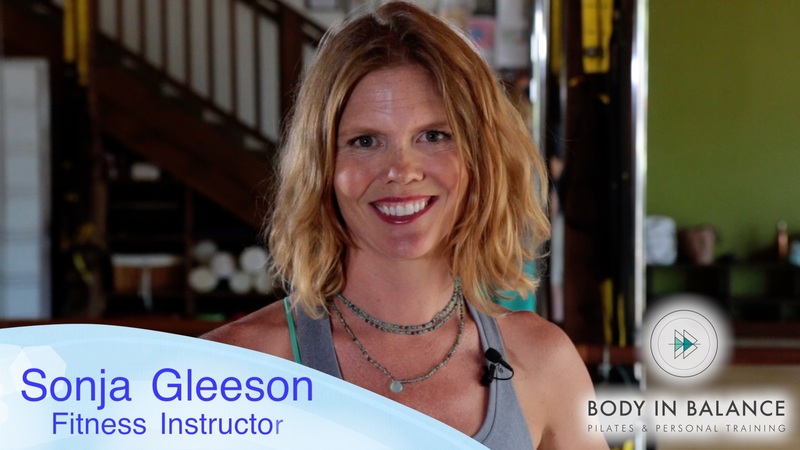 She studied and was certified by Polestar Education in 2001 in Pilates-based rehabilitation. She served as a mentor in training for Polestar Education’s studio and rehab series in Denver, CO in 2005. She has owned her own practice in both Colorado Springs, CO and Orlando, FL. Since 2012, she has been training in the John Barnes’ method of myofascial release. Since she was a young adult, Monique has had a passion for fitness and health engaging in brief periods of competitive running, and in bodybuilding. She discovered Pilates and then yoga and incorporates all these types of training, and many others she has explored with clients over the years, in her treatment programs. While in Orlando, she had the opportunity to work with professional ballet dancers with Orlando Ballet and with players from the Orlando City Soccer team who sought her training and therapeutic expertise on a regular basis. In her spare time, Monique continues training as a bodybuilder, exercising with Pilates and yoga, enjoys cycling, hiking, kayaking, reading, meditating and chanting. She enjoys spending time with her partner, Roy, his dog Monk and her son, Matt, daughter-in-law, Rachel, and grandson, Gregor. 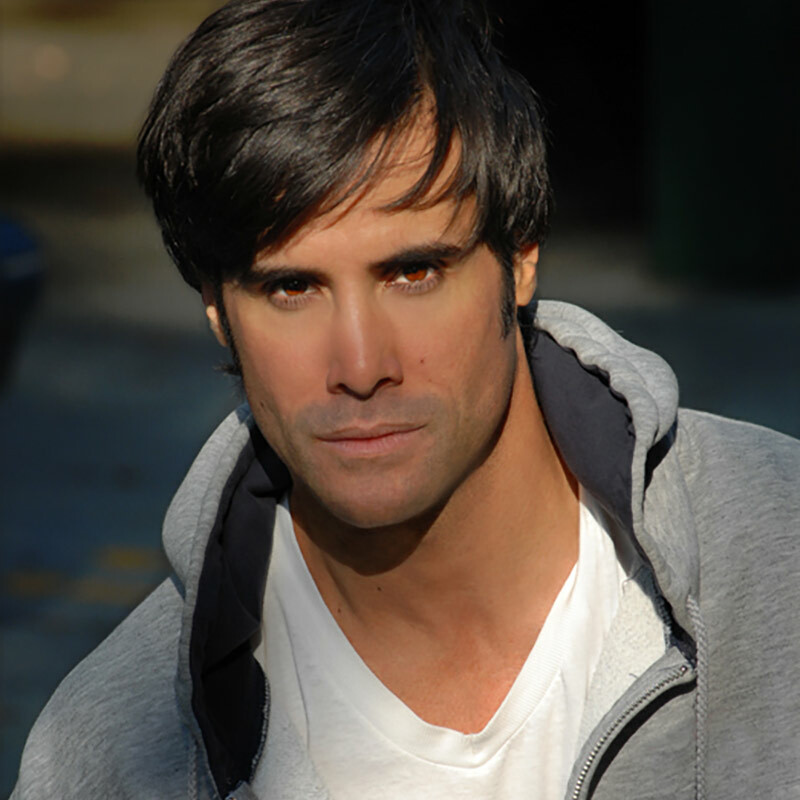 Born and raised in Israel, Or had an extensive dance career for 15 years, performing classical and contemporary Ballets all over the Americas, Europe, Asia and Australia. Mr. Sagi – Woodson had the honor to perform for the prince and princess of Monaco, the Thai royal family, and the Israeli president. He received his Pilates training through Balanced Body University, under the mentorship of Troy McCarty. Mr. Sagi – Woodson is a featured Pilates model for balanced body and Troy McCarty Pilates. Having a diverse 17-year background in dance and performance, Buti Yoga was something I was immediately drawn to. The combination of yoga, tribal dance, and sisterhood resonates so highly with me that I decided to become an instructor in May 2016. Buti is an Indian Marathi word that means “the cure to something hidden beneath the surface or kept secret.” We believe EVERY woman has the ability to heal themselves from the inside out and are committed to empowering women everywhere and awakening the strong feminine power within. I am so blessed to be on this journey with each of you! Exercise has been a part of Sonja’s life for as long as she can remember. Athletics growing up and Jazzercise with her Mom influenced her decision towards a career in the fitness industry. Teaching fitness classes at the Student Recreation Center while attending Arizona State University laid the foundation for her instruction. During her 4 years at ASU she taught everything from Step Aerobics to Spinning while working towards her Bachelors of Science in Nutrition which she achieved in the Spring of 2001. Eventually her path led to Yoga which she became, and continues to be very passionate about. She became certified to teach Yoga in 2003 and is currently teaching Yoga at several locales on the island. Seeking a method that would lend strength and stability to her yoga practice Sonja became interested in Pilates. 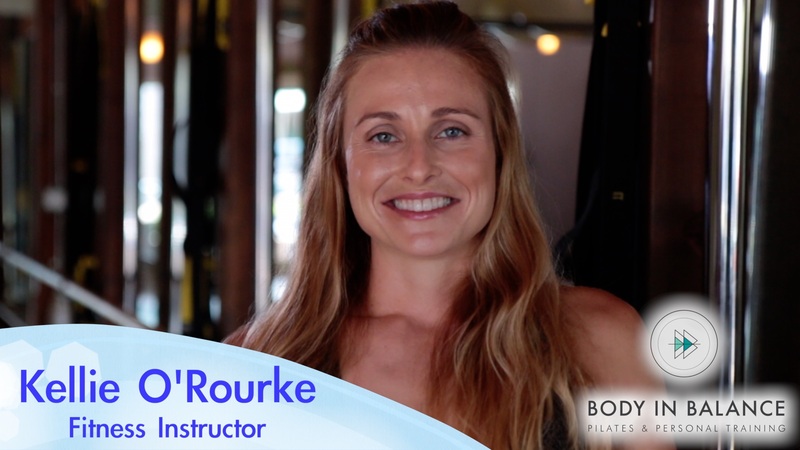 In January Sonja completed her STOTT Pilates Certification course and is both excited and inspired to share the benefits of Pilates with others. During her mat classes Sonja draws from 10 years of teaching experience and the STOTT Pilates technique to instruct an effective, safe, full body workout. Stacia grew up in Apple Valley, Ca. She received her B.A. in psychology at California State University, Fullerton, with a desire to get into healing work. She found herself leaning towards a more holistic, integrative approach to healing, after discovering the mind-body connection through practicing yoga and meditation. She began practicing while in college, where she worked and studied full-time. She found that it made significant improvements in her stress-level and overall health and well being- mind, body and spirit. 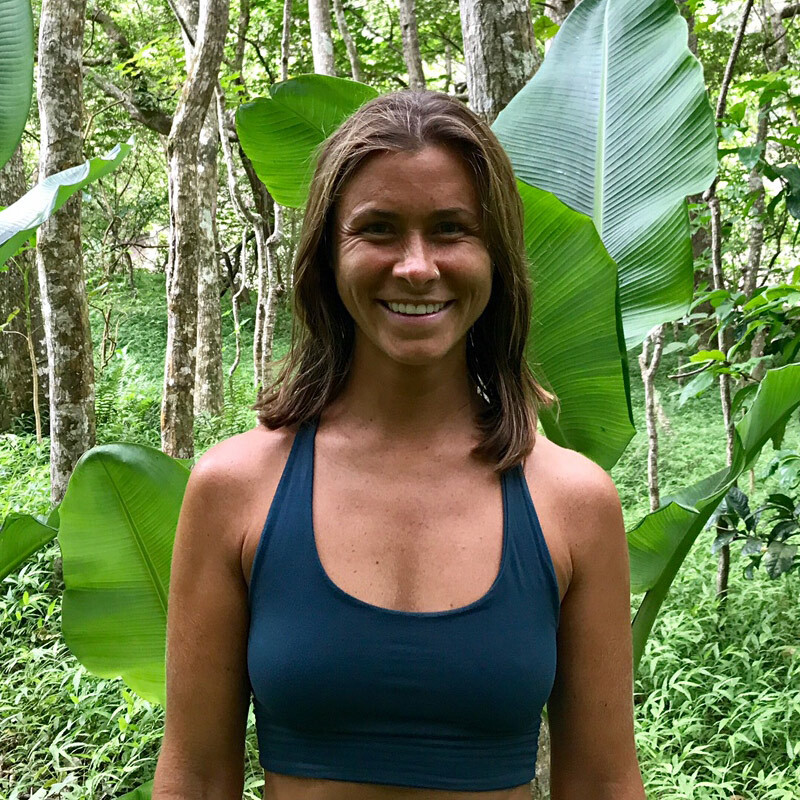 After graduation, Stacia decided to break the routine and travel to Bali, Indonesia to become certified to teach yoga. She completed her 200 hr YTT and fell in love with teaching. She spent time in Thailand and India, continuing her practice and education, while expanding her worldview. She also became certified in Reiki levels 1 & 2. 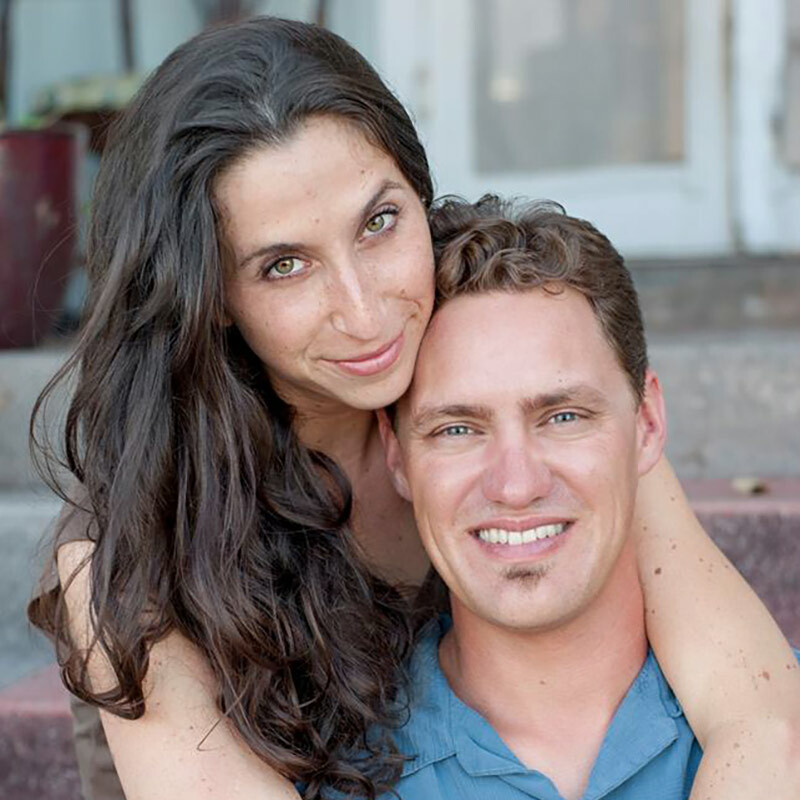 Stacia realized the power of yoga and meditation can completely transform your life. She believes it is a key to unlocking our creative potential and can take our lives to a new level. Yoga helps you to release fear, stress, and anxiety, while strengthening your faith, confidence, will-power, and of course- your body! She now lives in Maui, combining all of her passions. 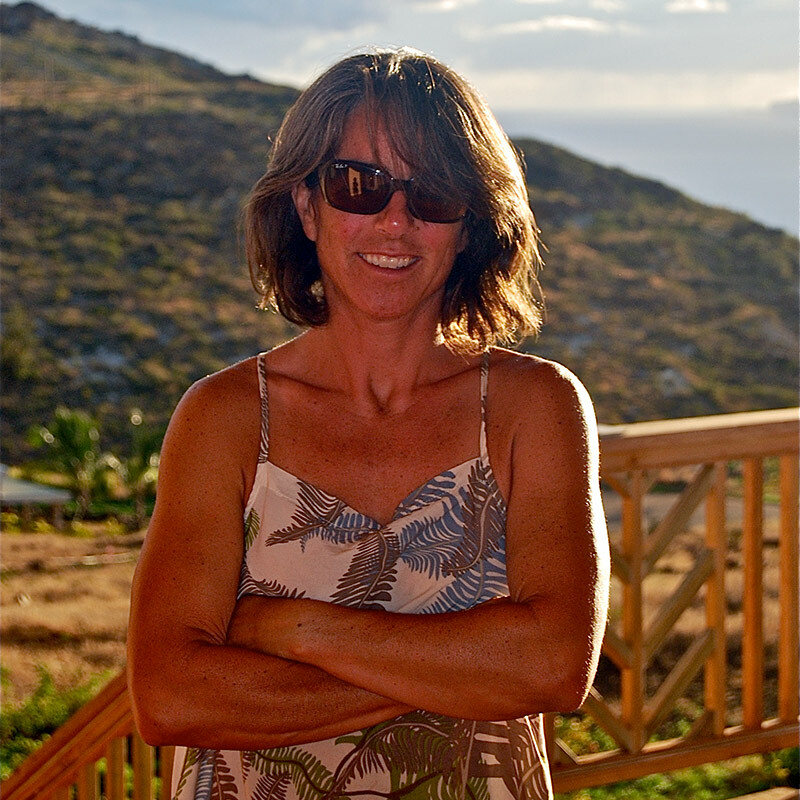 She works as an art consultant at Bill Wyland Galleries, continues to teach and practice yoga, and in her free time you can find her in the ocean, running, painting, practicing guitar, or planning her next trip! Stephanie grew up in Potomac, MD, just outside of Washington, D.C. She moved to Nashville, TN in 2009 to attend Vanderbilt University, where she was a Division I swimmer. During the summer of 2010, she was looking for another way to cross-train for swimming and discovered the Pilates Reformer. She quickly fell in love with the workout and realized it was something she wanted to learn to teach. 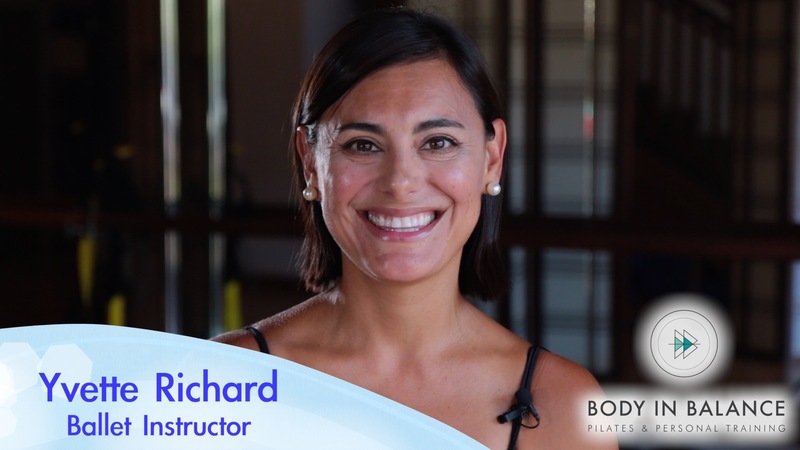 Stephanie completed her Comprehensive Pilates Certification through Balanced Body in September 2011, and her PMA® certification in December 2014. 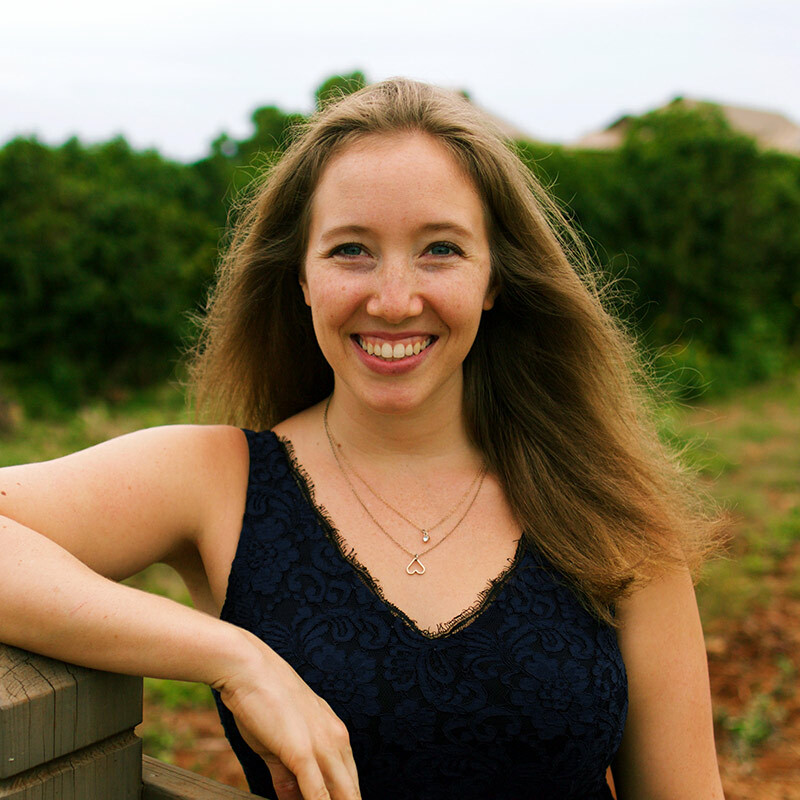 Stephanie moved to Maui in October 2015 and loves island life. She enjoys teaching Pilates because it is continually challenging and extremely beneficial for the body. It has also helped her through shoulder injuries from many years of competitive swimming. As a result, she has the drive to help others through their athletic injuries. She believes strongly in the power of movement and the importance of physical fitness for both the mind and body. When not teaching her classes, Stephanie can be found performing as a singer/songwriter and working on paintings for her online Etsy store. Stephanie is an artist. Throughout her childhood, she spent time exploring the arts, reading and finding inspiration exploring the outdoors. Her studies include degrees in Advertising, Graphic Design and Interior Design. During college, she discovered yoga, Pilates and water fitness for personal healing and stress reduction. Health and wellness have become her second passion and has been working in the industry since 2002. Currently, she is studying to complete her master certification with STOTT Pilates and Pilates Method Alliance. After relocating to Maui in 2012, Stephanie spends free time exploring the island. This includes being active surfing, paddle boarding, hiking, diving, swimming, painting and illustrating children’s books. Stephanie encourages clients to seek out their passions and embrace activities that help achieve personal interests and fitness goals. No one wants to be attacked but if it happened, wouldn’t you want to be prepared? Tasha has studied several styles of Japanese martial arts, Tai Chi, and boxing, along with a Warrior Spirit Training by Rocky Balboa’s Trainer, Jeff Alexander. With 17 years of experience, Tasha is able to pull from her multiple styles to deliver practical self-defense for everyday living. She has owned two empowerment businesses and has the goal to elevate, educate, and advocate for others. Her current business ElleLiveAction (Women Living in Action) is focused on elevating people to their next level. While teaching, Tasha stresses the importance of utilizing moves that are realistic for everyday life scenarios and attire. The main style Tasha pulls from is Aikido, although she utilizes several styles sharing joint manipulation, joint-locks, and pressure points which can be used in a variety of ways. Her previous business was a women’s empowerment business, focused on self-esteem, body-image, and self-defense training for middle school and high school girls. She created the curriculum and scaled from one school to four in less than three years. Tasha was able to reach over 2000 girls with her empowerment business in Washington state and she hopes to find ways to better support the women and girls on the island of Maui. Additionally, Tasha recently launched her first online self-defense course. This course has 8 classes and each class focused on a different type of attack with several counter attack moves and at-home exercises so that those who want to practice on their own can at their pace. We hope you will join Tasha for one of her sessions and get empowered! Yvette Richard earned her Bachelor of Arts in Dance Performance, Choreography and Education from San Francisco State University in 2000. She danced with EMBAJE Dance Company, performing throughout the bay area and studied with recognized dance educator, Dr. Albirda Rose. Yvette has also practiced Pilates since her college years and became a Stott certified Mat and Reformer instructor in 2008. 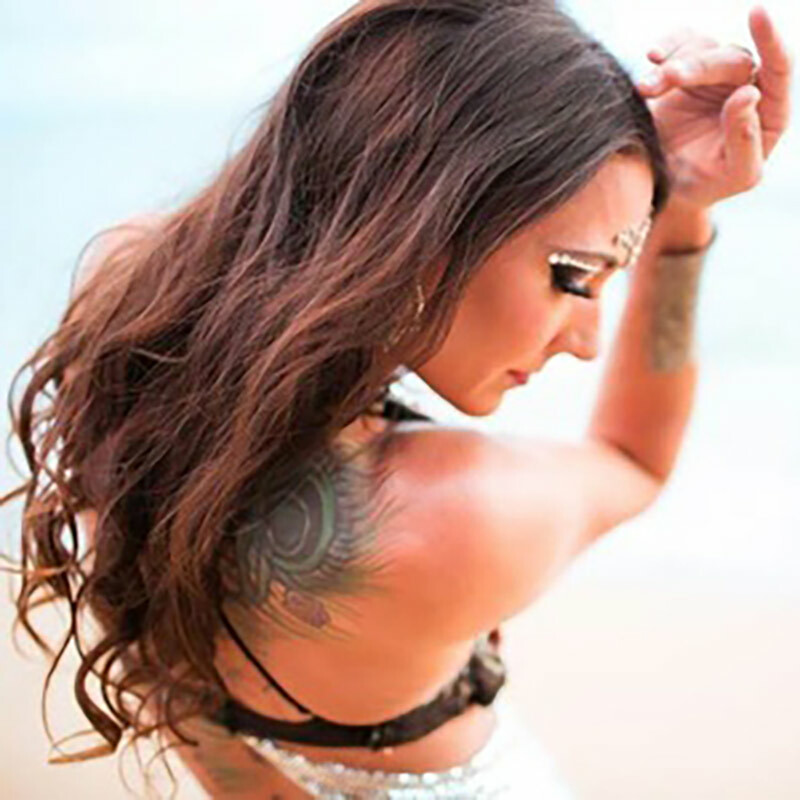 Since her move to the islands in 2000, she has performed at various venues on Maui and neighboring islands with renowned choreographers David Ward, Andre Morissette and Koablue Dance Theater. 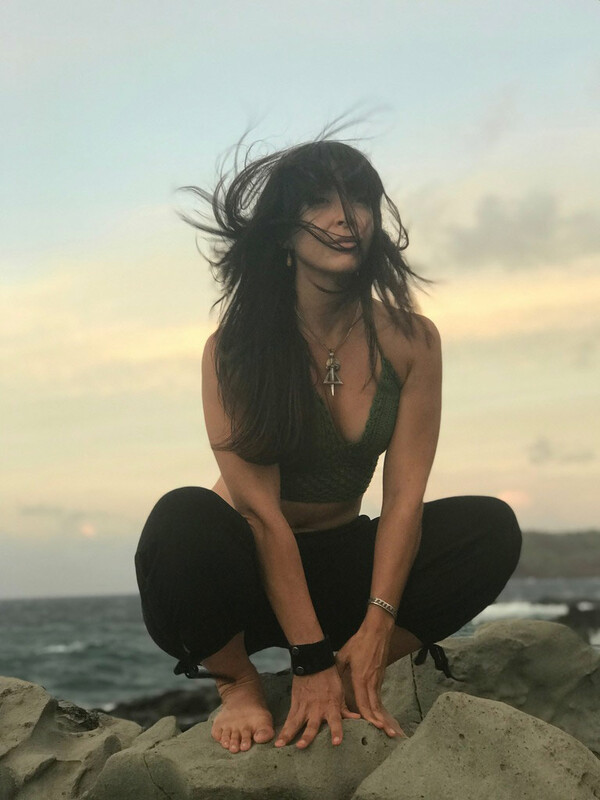 In 2006, she worked as featured aerial acrobat for Mo’olelo Productions theatrical show, Honua’ula at the Marriott, Wailea and spent several years as the resident dance instructor at Island Spirit Yoga. In 2008, she gave birth to her first son, Noah Kai and then Tristan Nalu in 2010 and loves her new role as a mother. Currently, Yvette is thrilled to be teaching both Pilates Reformer and Kid’s Ballet at Body In Balance.